Zeal Naturals Apple Cider Vinegar Fat Burner Review | Buy or a Scam? Apple Cider Vinegar Fat Burner is a supplement in capsule form that contains Apple Cider Vinegar, plus well-known weight loss ingredients Garcinia Cambogia, Conjugated Linoleic Acid (CLA), and what is described as natural caffeine derived from Green Coffee Bean extract. According to scientific research, apple cider vinegar can also play a role in weight loss. We can’t think of a reason why you should bother with this supplement. First published Mar 27, 2019. Apple Cider Vinegar has always been popular as a folk remedy, as well as used for countless household and cooking purposes. According to scientific research, apple cider vinegar can also play a role in weight loss. So, is Zeal Naturals Apple Cider Vinegar the best way to try out the claims for yourself? And, will this supplement burn fat as claimed? We take a look. Zeal Naturals is a Utah based Supplement Company that markets five supplements aimed at helping weight loss. You can buy the range of products from the official website or via Amazon. The name “Apple Cider Vinegar Fat Burner” is misleading. This is not a cider vinegar supplement and although it does contain this ingredient in very low quantities, it is not even a principle ingredient. 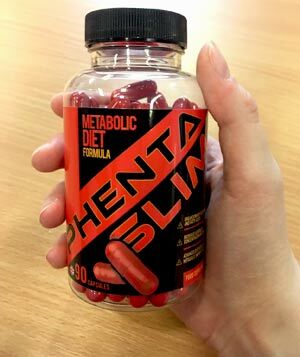 Any effects are likely to be down to the caffeine and although it also contains CLA and Garcinia Cambogia, we can’t see it doing much for your weight loss, fat burning, or any other of the claims. Zeal Naturals Apple Cider Vinegar comes in bottles of 90 capsules which is one month’s supply, and is far more expensive than ordinary cider vinegar you can buy in the supermarket or apple cider vinegar supplements that contain this one ingredient. It is important to remember that the evidence there is for ACV is all based on research on natural vinegar, and even if taking it in supplement form is as effective, this one won’t be! What are the side effects of Zeal Naturals Apple Cider Vinegar Fat Burner? A few customers have mentioned side effects. These include increased hunger, stomach growls and stomach pains. Garcinia Cambogia and CLA can both cause side effects including nausea, diarrhoea, upset stomach, dizziness, backache, and fatigue. This supplement contains caffeine as one of the principle ingredients. Side effects of caffeine are well known and depend upon your own tolerance. Caffeine side effects may include jitteriness, anxiety, insomnia, and increased heart rate and blood pressure. Cider vinegar is known to cause drug interactions, so speak to your doctor before using if you are taking medication. 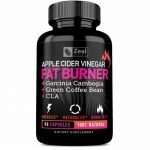 How much does Zeal Naturals Apple Cider Vinegar Fat Burner cost? Zeal Naturals Apple Cider Vinegar Fat Burner is massively overpriced on Amazon. It costs a whopping $42.99 for 90 capsules (1 month’s supply). It is less expensive if you buy from the Zeal Naturals website, where 90 capsules cost a more reasonable $21.98. Still overpriced in our opinion, but less so than the price on Amazon. Apple Cider Vinegar Fat Burner is a supplement in capsule form and each serving is equal to three capsules. It contains Apple Cider Vinegar plus well-known weight loss ingredients Garcinia Cambogia, Conjugated Linoleic Acid (CLA), and what is described as natural caffeine derived from Green Coffee Bean extract. The final ingredient is black pepper extract, which may help the other ingredients feel stronger because it helps absorption. Each serving is equal to 3 capsules. Surprisingly, the principle ingredient is Garcinia Cambogia so it would have been more accurate to name the supplement after this! In our opinion, this is because Garcinia has been around for a while, whereas Apple Cider Vinegar is currently hot! So if you are looking for an apple cider vinegar supplement that just delivers cider vinegar, this supplement is not for you! Apple cider vinegar is becoming popular for weight loss with many people using natural vinegar because it has some proven health benefits, including lowering blood sugar levels and cholesterol and increasing feelings of fullness. Check out the ingredients tab to find out more about all of the ingredients. No money-back guarantee. Does this suggest that this supplement just does not work? Zeal Naturals is a US company based in Highlands Utah. 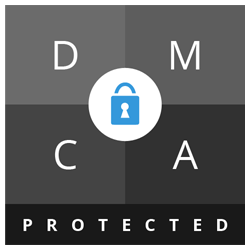 You can contact the company by phone – (801) 899-9147 or email. Despite a very crisp professional looking website, Zeal Naturals are not fully engaged with social media and with only 53 likes, do not have a big presence on Facebook. What does Zeal Naturals Apple Cider Vinegar Fat Burner claim to do? There is not much information on the Zeal Naturals website where it is described as a “powerful thermogenic formula for weight management”. “APPLE CIDER VINEGAR PILLS FOR WEIGHT LOSS – If you’re looking for an Apple Cider Vinegar Fat Burner to lose weight fast, suppress your appetite, and give you clean and powerful energy, you’ve found it. Does Zeal Naturals Apple Cider Vinegar Fat Burner work? It is unlikely to work. Even if this supplement contained apple cider vinegar in high quantities it would not cause the fat burning effect. And although it may have numerous benefits for health and sugar control, it does require further testing. In addition, all of the research has been based on using the natural form of the vinegar rather than taking it in supplement form. A supplement may sound appealing if you don’t like cider vinegar but we can’t see the low content here doing much. Apart from the name, the apple cider vinegar is not the major part of the formula. Of course, there are other ingredients. The HCA in Garcinia Cambogia may help cause some weight loss, although most of the positive benefits were seen in animal testing rather than on humans, and the caffeine may give you a lift. Some people say that CLA can help weight loss and works in the body like a natural and stimulant free fat burner. The problem is that nothing is really proven. Serving size is equal to three capsules. Natural Caffeine (from green coffee) (150mg): The product information makes a point of saying that the caffeine is derived from green coffee but natural caffeine is the same regardless of origins. As we all know, caffeine is great for boosting energy levels and can boost the speed of metabolism, but effects can be short-lived as the body becomes accustomed to use. Black Pepper Extract (15mg): Black pepper contains a natural chemical called Piperine and this can help increase bioavailability in other ingredients. We can see this when we add pepper to our meals and it increases the flavour of the food. Cider vinegar can burn the throat and erode tooth enamel, but side effects mainly relate to taking it in its natural state rather than in supplement form. Caution: Not suitable for individuals under 18. Avoid if you are pregnant or breastfeeding. Check with your doctor before use if you are taking prescription medication because apple cider vinegar can cause interactions with some drugs. Been using this product for a week. Didn’t really “change” my diet but definitely felt an huge appetite reduction. Lost 7 pounds the first week. Feeling hopeful!!! Some customers like the supplement as an alternative to apple cider vinegar. I am so glad for capsule form of apple cider vinegar, instead of drinking it straight. I take 3 a day and it seems to help. I tried this product for a month, gave it a fair shake, and saw no noticeable results. There was no extra energy from the green coffee like I had hoped, my weight stayed pretty much the same, and my hunger was not diminished in the slightest. The first day I took 3 pills like the bottle said and I completely regret it. I had severe stomach pains for 48hrs after taking the first dose with food, unable to eat, drink, or move. 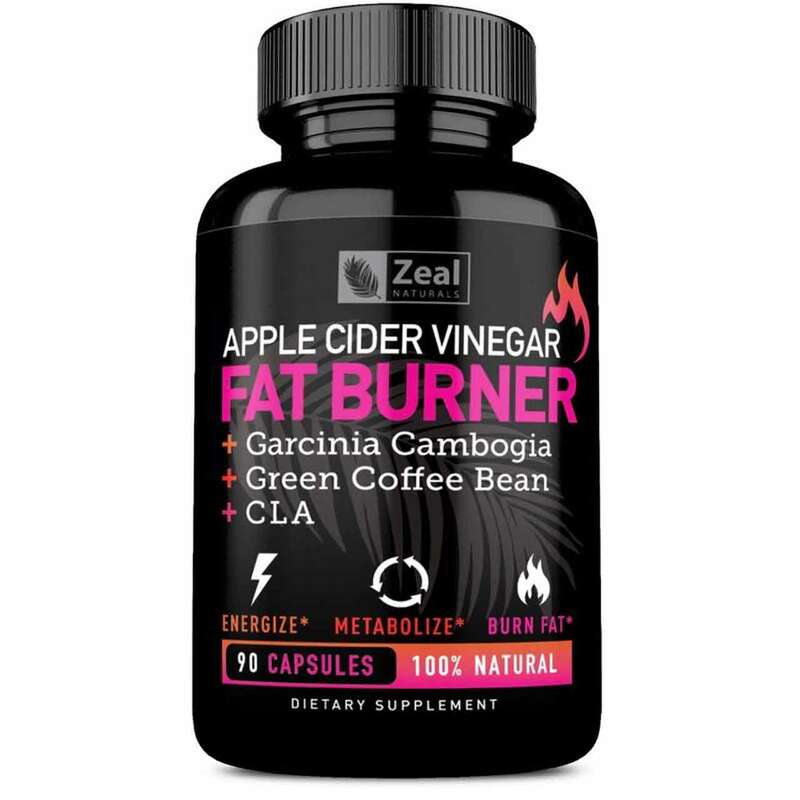 You can buy Apple Cider Vinegar Fat Burner from the Zeal Naturals website. It is also on sale via Amazon. We hate misleading advertising, so we do not rate Zeal Naturals Apple Cider Vinegar Fat Burner at all! This supplement is advertised as an alternative to taking cider vinegar – a very cheap ingredient – yet contains very little of this and is massively overpriced. In addition, the claims made in the advertising do not match the ingredients list and the product information does not add up. This claims it contains green tea and green coffee extract, whereas it only contains caffeine. Apple Cider Vinegar is being touted for weight loss and there is probably something in the claims that it helps reduce appetite and levels out blood sugar, but you don’t need to spend good money on a supplement in finding out. Just buy some cider vinegar and try adding it to your salad. Do this and you will be taking more of this so-called miracle ingredient than there is in Zeal Naturals Apple Cider Vinegar Fat Burner. Drink a cup of strong coffee as well, and you have basically improved upon this supplement for much less cost. We do not recommend Zeal Naturals Apple Cider Vinegar Fat Burner to the Watchdog readers. 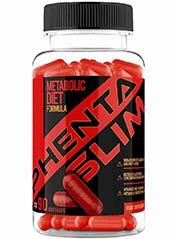 How does Zeal Naturals Apple Cider Vinegar Fat Burner compare to Phentaslim?